These Peppermint Snowball Cookies have candy cane pieces mixed through the dough and on top for a fun candy cane snowball cookie twist. Plus if you have lots of extra candy canes, I have a list of cookies that use candy cane pieces. I love a good Pecan Snowball Cookie and I love these with a peppermint makeover. Peppermint is one of my favorite flavors this time of year and I can’t resist using my magic peppermint wand on everything. 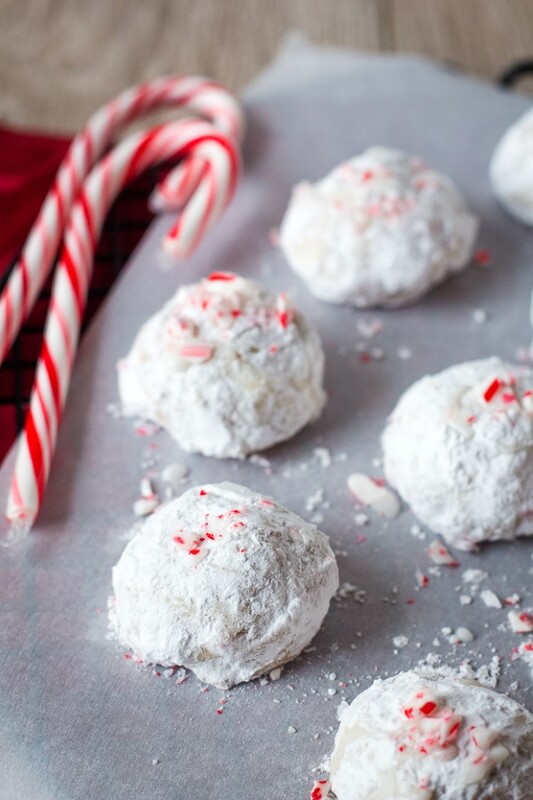 These peppermint snowball cookies are especially easy because they don’t require any chilling. Mix 6 simple ingredients together and bake. A fudgy chocolate mint brownie with green mint frosting and a rich, smooth chocolate ganache. These mint brownies from scratch are the best you’ll find. *This recipe was originally published in February 2015. I’ve updated December 2018 with new pictures and information. Tonight I made my first green smoothie. I tossed in a few handfuls of spinach, some orange slices and a bit of frozen pineapple in the blender. The result wasn’t too bad and something I could probably drink on a regular basis. No bitter spinach taste came through, but it definitely wasn’t as sweet as my normal fruit smoothies. 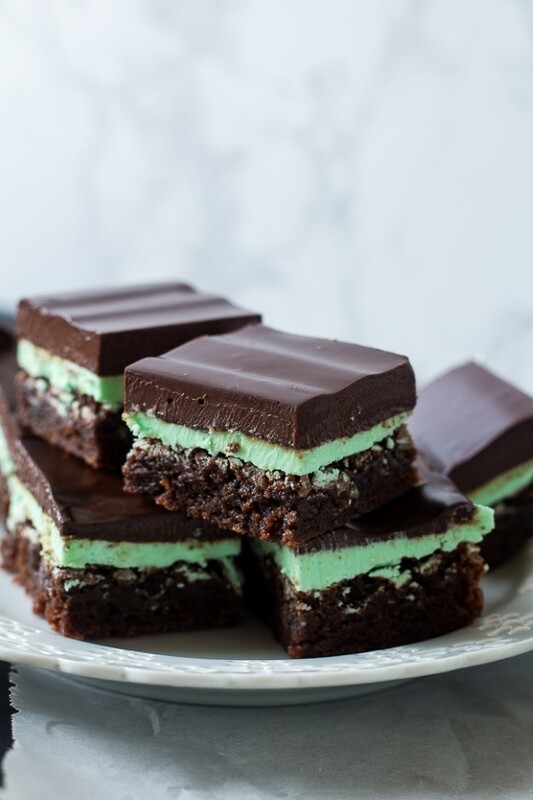 I’m trying to convince myself that all the nutrients are worth it, but my idea of something green and delicious is these Mint Brownies with Chocolate Ganache…. A classic chocolate chip cookie recipe is given an upgrade. These mint chocolate chip cookies start with a thick and chewy cookie base and are filled with chocolate chips and mint chips. If you’ve been following along on the blog with me very long, you know my love of mint chocolate. 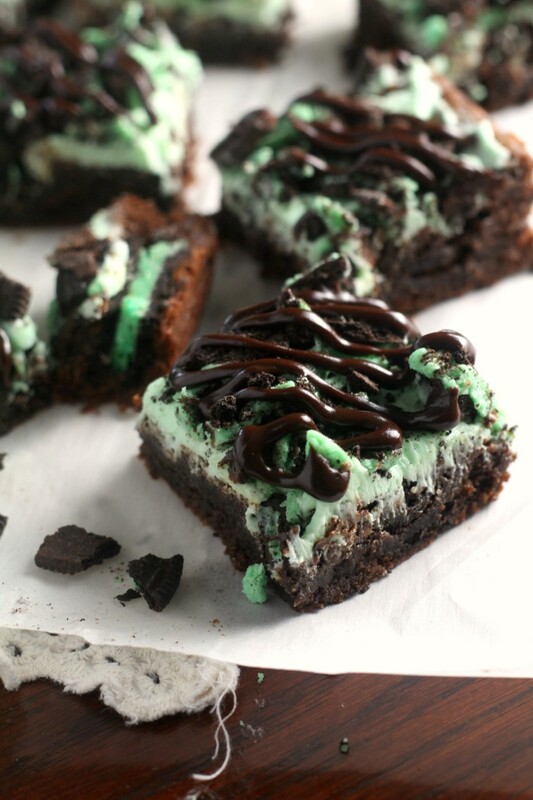 This summer already, I have posted Mint Oreo Brownies, Mint Chip Ice Cream and Mint Chocolate Truffles. 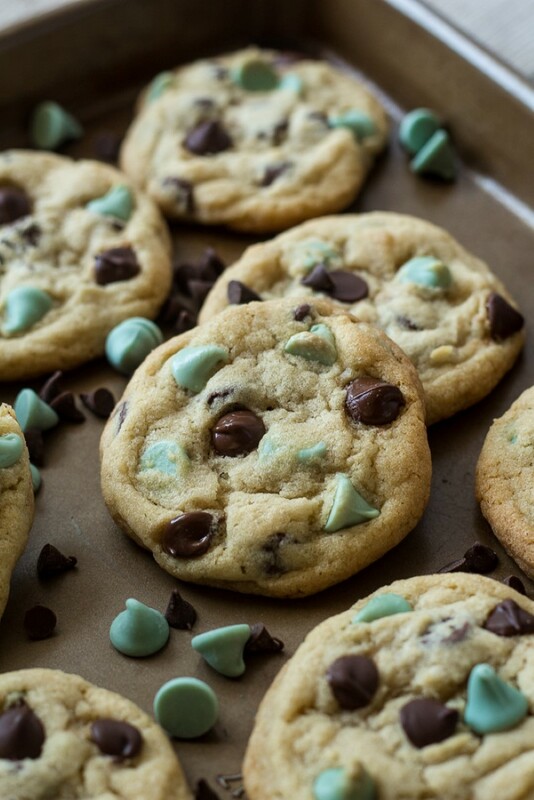 Today, my love continues with Mint Chocolate Chip Cookies. 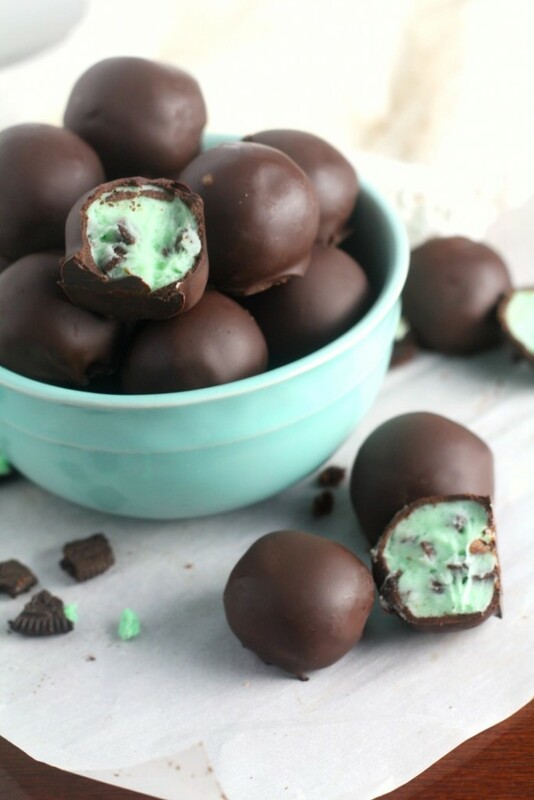 Mint Chocolate Chip is a favorite flavor combination of mine and these little mint chocolate chip truffles are way too addicting. A creamy mint filling dipped in good quality dark chocolate makes a perfect indulgence. My son, Cameron, just had to have his blood drawn twice in the past week. Since he is only two, I was nervous how it would go and a bit sad to take him. Thankfully, my sister was able to come with me when he had it done the first time. We were both bracing ourselves for a lot of crying. But, when we got there, he proudly climbed up on the chair, held out his arm and didn’t flinch or cry when they poked him. This easy homemade ice cream takes just 5 ingredients and 10 minutes of hands-on time, no ice cream machine needed. 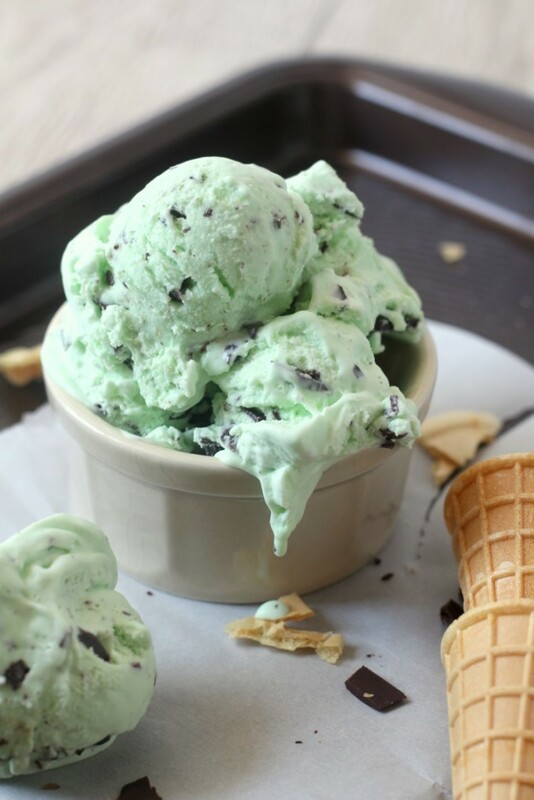 Pop it into the freezer and in 6 hours, you can have refreshing no churn mint chocolate chip ice cream to cool off with. 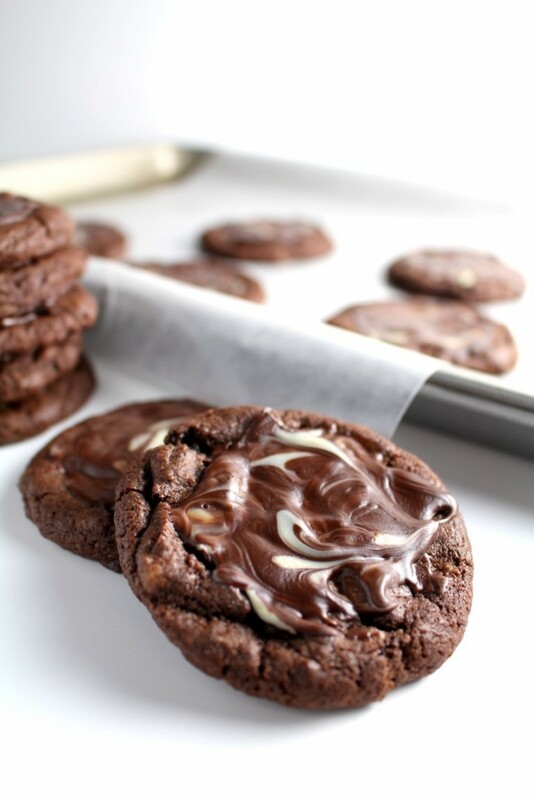 Andes Mint Cookies are a soft-baked chocolate cookie loaded with Andes Mint pieces and spread with an extra layer of mint goodness. They’re amazing straight from the oven. So I meant to post these recipes before Christmas, but I decided time with my family and friends was more important than writing about cookies, so I’m sharing these treats with you now. And the timing may be perfect, because while treats abound in December, who doesn’t need some baking inspiration in January , especially soft chocolately, minty, warm-from-the-oven inspiration. Cool off on a hot afternoon with a cup of mint lemonade. 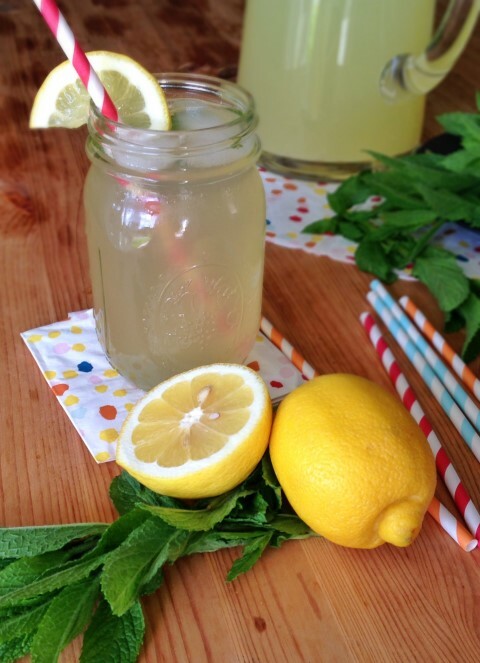 It’s a refreshing twist on a classic summer drink made with real lemons and fresh mint. Mint lemonade has been a treat in my family since my brother and I discovered it a few years ago. Mint is easy to grow and was always in abundance and after a hot, sweaty afternoon working in the garden, nothing sounded better. We would grab some mint and mix it up with some powdered lemonade and sip our treat. Since then, the recipe has improved and now features fresh lemon juice and better techniques.